No Desks or Chairs Here! Let’s Run, Jump, Fish, Paddle and Play! Kids out of school? We offer fun camp days during scheduled Broward County school days off. 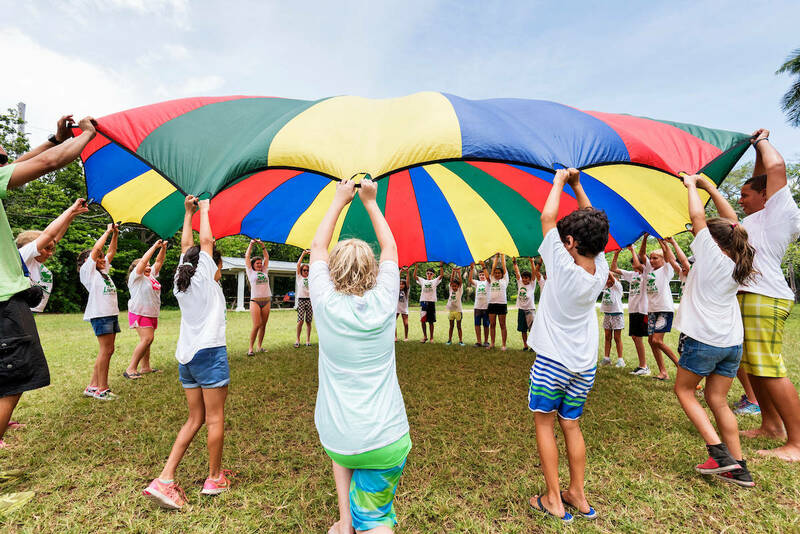 Campers will enjoy the fresh air and be engaged in fun, hands on activities. Fun camp days will be offered at the Ft. Lauderdale, Birch State Park location ONLY. The camp day is from 9:00 – 3:30 with FREE AM/PM care (8:00 – 9:00 am & 3:30 – 5:00 pm), and Lunch! Activities: Each day can include Sports, Art and Craft, Swimming (weather permitting) and Beach Play, Canoeing, Hiking, Archery, OR Fishing, and Hands on Science activity. *Cannot be combined with any other offer or discount. All activities are age appropriate and subject to change. A minimum of 8 campers is needed to run the program. The BIG, THE MIGHTY, THE DINOSAUR! Travel back millions of years ago to the prehistoric era. At one point, earths biggest animal that dominated the food chain. Learn about all the famous dinosaur fossils anthropologist have discovered and come explore the park and see what animals are related to these giants. Let’s go on a Canoeing adventure and make a dinosaur craft. Shark Bait HOO HA HA Keep watch for these ancient cartilaginous fish as they glide through the water. In science learn all about the predators of the sea and which ones love the Florida waters. Let’s see what we can catch at fishing! Halloween…the creepy, the crawly and the spooooooky. Find out what creepy crawlies we have in store during this camp day? Let’s travel down the secret passage way during canoeing. Enjoy Fun spooky Halloween themed crafts, treats, and stories. Battle of the invasive species Learn the difference between invasive and native plants and animals. Which ones are a burden to Florida’s ecosystems? Where did they come from and how can we do our part to get rid of them? Fishing in the intracostal and fun nature crafts. The Treasures of Florida What lies beneath the ocean floors off our oceans coast? Who put it there? Let’s find our own treasure, and make a fun craft. Try your hand and eye coordination in archery! Florida Natives and their History Who lived here before us? where are they now? Let’s take a look at the culture and history of the first Floridians. Let’s take a canoe adventure to the secret passage way. The Mystery & History of the Galapagos Islands What makes these islands so fascinating? Learn all about the species that live on these historical islands. How do these animals live with extremely limited resources? Let’s canoe to our own island and take a look at what animals make it their home. Fun reptile crafts! Beyond the Everglades Learn why the everglades are so crucial to Florida? What animals make it their home? Let’s take a look at the park’s wetlands and explore the hidden mangrove maze deep in the park by canoe! Create fun animal magnets.